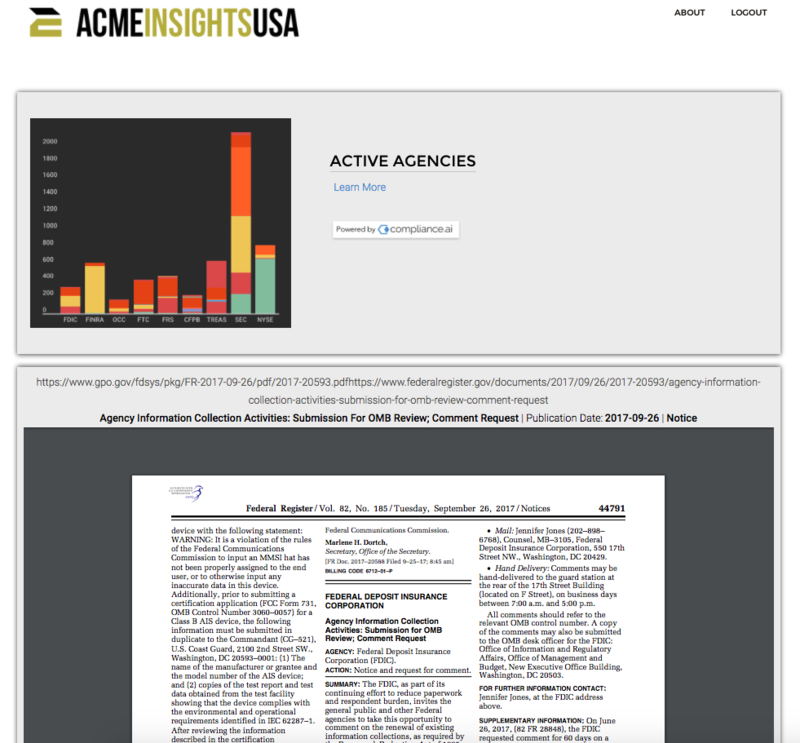 Acme Insights USA is a sample application built by Compliance.ai using the Compliance.ai API. At this point the Compliance.ai API invokes the Search Documents method. At this point the Compliance.ai API invokes the Suggestion Method. At this point the Compliance.ai API invokes the Agency Source Method. The Compliance.ai API presents the results after the app recieves the response. 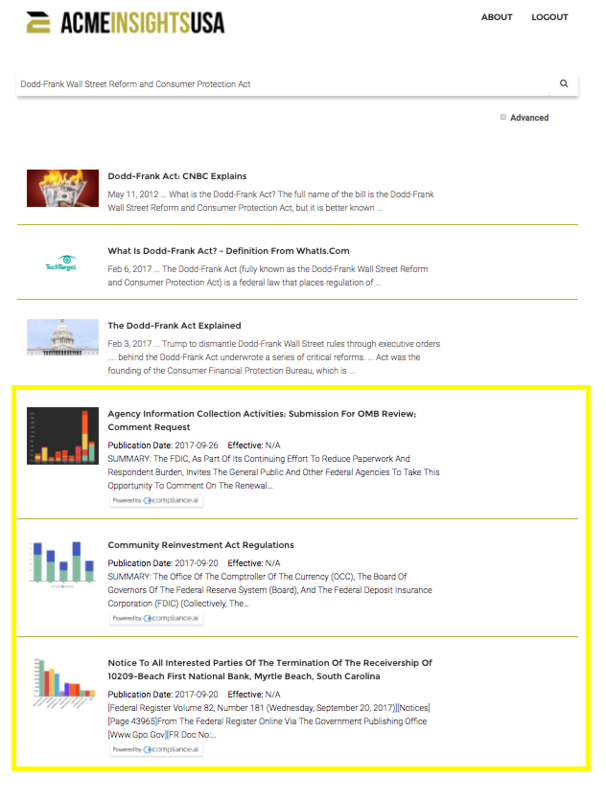 In this sample app we are showing how our content can be presented along with other news sources. In this case, the top 3 search results are from Google. The Compliance.ai API presents the document as either a muti-page view PDF (shown below) or in some cases, it will show a link to the original source of the document selected. In the example below, the sample app is also linking each document to a related Compliance.ai Insight.